Our car will Pickup from Gurgaon and travel Agra approx. 200 Kms/ 4 Hrs. Sightseeing in Agra including The Taj Mahal, Agra Fort and Sikandra. Evening leave for Delhi. Overnight at Gurgaon – Self Stay. After Breakfast leave for Mussoorie by surface approx. 345 kms / 8 hrs. Stop for breakfast & fresh & change at a hotel – self. Upon arrival check inn at the hotel. 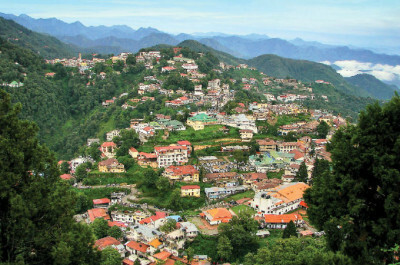 Evening arrive in Mussoorie and check in at your hotel. ( Pls. Note that there is a time restriction for the cars to enter into the city area of Mussoorie ). Evening will be at your leisure. Overnight at the hotel. Depart for Rishikesh by surface approx. 60 kms/ 2 hrs, Enjoy River Rafting in Rishikesh Self. Sightseeing in Rishikesh, Proceed to Haridwar approx. 30 Kms. Enjoy Ganga Arti in Haridwar. Evening will be at your leisure. Overnight at the hotel. Depart for Delhi by surface approx. 240 kms/ 7 hrs/ En route Visit Haridwar & Rishikesh (optional). Late evening arrive in Delhi. You will be transferred Airport.